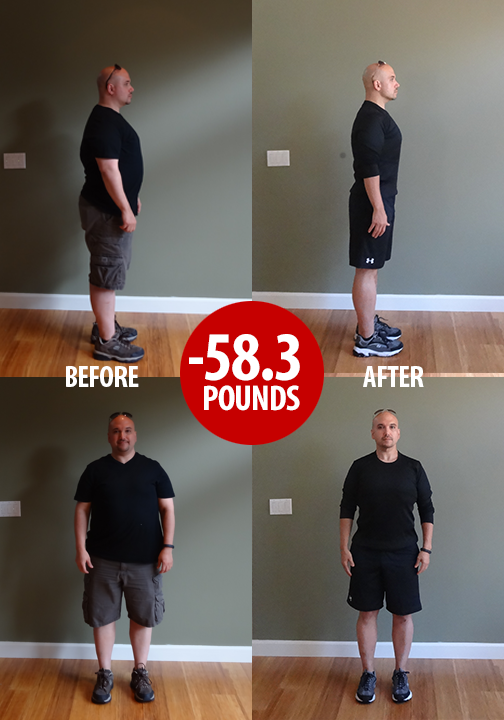 It was nice waking up this morning and jumping on the scale and seeing that I was down 10 pounds. 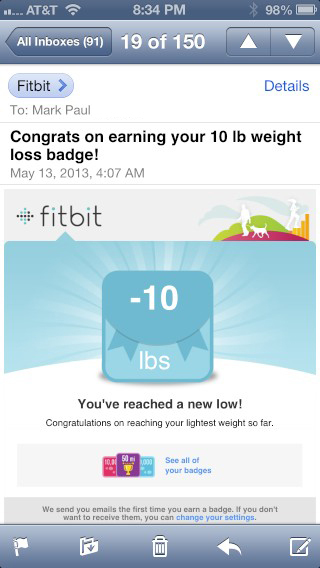 What’s even better is how my Fitbit scale sent me an email congratulating me about my accomplishment. Who said technology is cold-hearted? 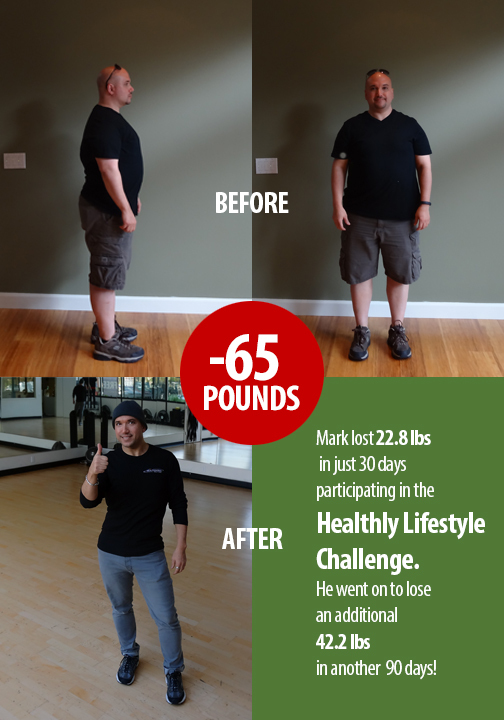 So it’s the beginning of the second week of my nutritional cleanse and I continue to feel better each day. I continue to sleep well and my skin feels much more supple and soft. Is it all the additional water? Is it the clean eating? Is it the absence of toxins in processed foods? I would have to say all of the above. Someone at the club today said they could see that I lost weight in my core area (i.e., stomach). I don’t necessarily see the difference yet, but I can definitely feel it. I feel less bloated and I feel thinner if that makes any sense. To many people, coffee is absolutely delicious and a great way to stay on tract with a paleo diet without indulging in other unhealthy choices. It improves cognitive performance, reaction time and short-term recall. Coffee stimulates peristalsis and can help those who suffer from constipation. According to the latest studies on the subject, moderate coffee consumption seems to be protective against cardiovascular disease. Coffee contains beneficial antioxidants, methylpyridinium being the most well-known one. Coffee seems to offer protection to the liver and has been found to reduce the incidence of liver cancer. Coffee hinders iron absorption because of its tannin content. It can therefore further exacerbate iron deficiency. Regular coffee consumption seems to decrease insulin sensitivity, which can translate to weight gain and increased risk of developing type 2 diabetes. Studies have mixed results about the insulin desensitizing effects of coffee, but the most coherent ones make it clear that the effect is negative. Many people believe that coffee is a diuretic, which means that it makes you lose free water and can therefore lead to dehydration and electrolyte imbalances. Studies have shown though that, in the long-term, coffee doesn’t have a diuretic effect after you’ve become used to it. Drinking coffee only very sporadically could still bring about the diuretic effects since the body would lose its habituation to the effect. Coffee irritates the tissues of the gastrointestinal tract and can exacerbate those with ulcers, IBS, gastritis or other such gastrointestinal disorders.